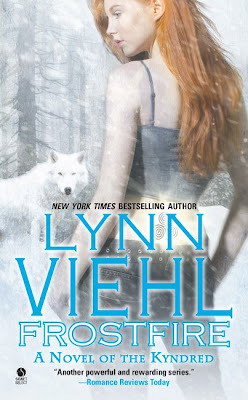 The cover for another series I really enjoy, Frostfire by Lynn Viehl, the third novel of the Kyndred was recently posted at Paperback Writer. It releases January 4, 2011. Very nice looking cover, but isn't she a little under-dressed for the weather? Welcome Back - Missed ya! I like the title on this book as well as the title. Internal alliteration. I dropped you an email so keep an eye out, all the best and I have been sending positive energy and prayers your way. Thanks Terry! Got the email and responded. 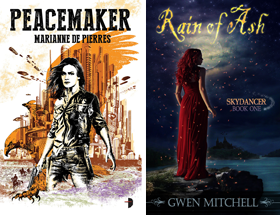 This is a solid SF adventure well worth the read. Very underdressed for the weather but I do like that cover. She just needs more clothes! Love this cover!! New author for me..